I was born in Moscow in 1968. Since the time of my first memories my parents have supported and nurtured my love for painting. 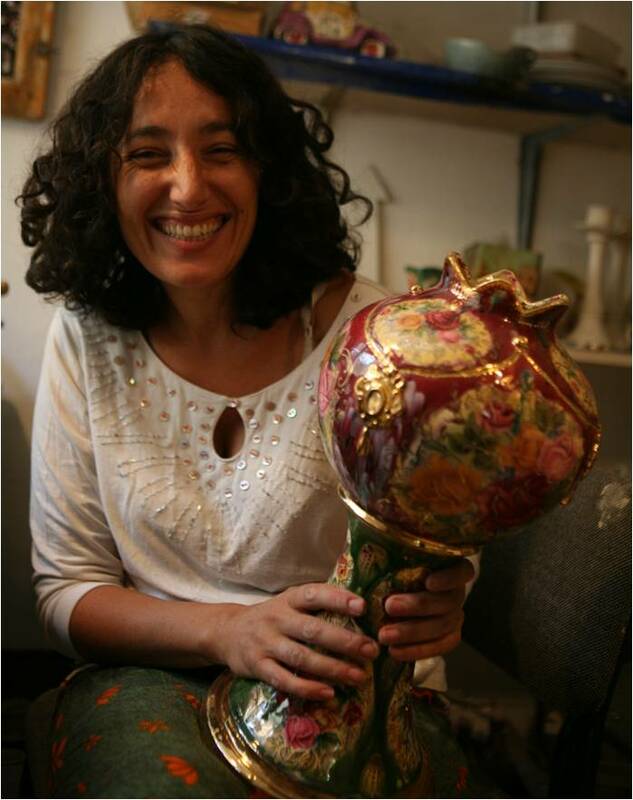 When I grew up, I chose the medium of ceramics, mixing childhood dreams with the oriental atmosphere of Jerusalem, the city where I had the fortune to create and to start my family. A lot of time passes since the moment when raw clay starts its journey towards becoming an object to covet. Many pairs of hands caress it, adding meaning and color to the vessel. Until it's complete, each piece undergoes at least four firings. During this process the object accumulates the atmosphere and the intention dominating the workshop at the time, a story for the object to tell the person whose heart will open for it. It happens at times that a piece leaving the workshop serves me as a messenger, causing me to meet people to whom I'd never be exposed if it weren't for my artwork.